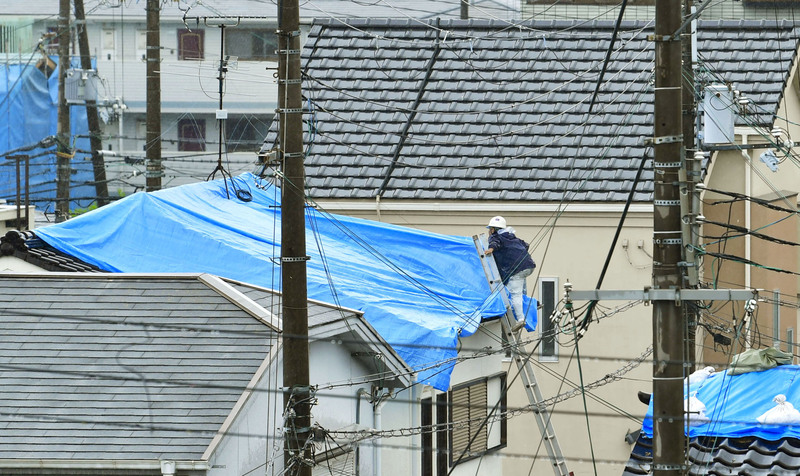 OSAKA - Authorities have confirmed that more than 6,000 structures were damaged by the 6.1 magnitude earthquake that rocked northern Osaka Prefecture last Monday morning. Almost a week after the quake, full-scale repair work to the damaged buildings has not yet been carried out and residents are nervous about rain due to the annual rainy season. According to the Fire and Disaster Management Agency and Osaka Prefecture, the quake, which measured up to lower 6 on the Japanese seismic intensity scale of 7, left five dead in Osaka and about 400 people injured in seven prefectures. A total of 6,235 structures were damaged in Osaka Prefecture and 531 elsewhere, including in Kyoto Prefecture. Local governments have started accepting applications for building danger status assessments and for victim certificates, but the process has not been going smoothly. More than 500 residents are still staying at evacuation shelters, mainly in the Osaka Prefecture cities of Takatsuki and Ibaraki. Gas supply was stopped at over 110,000 households at the peak, but it has restarted for some 90 of them and is expected to be fully restored as early as Monday. Osaka Monorail Co. resumed train services on all lines on Saturday but it was forced to stop them again Sunday due to damage to carriages apparently caused by the quake. Other critical infrastructure services have recovered. 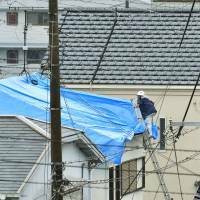 In the disaster, a 9-year-old elementary school girl died in Takatsuki after a concrete wall at her school collapsed onto her as she walked by. The wall was later found to be in violation of building standards. Damaged or tilting concrete walls have been found at more than 120 public schools within Osaka Prefecture. Since that fatal accident, emergency checks on concrete walls and the removal of hazardous structures is underway across the nation.